Cote’s Mechanical offers year-round, reliable heating and air conditioning services so that your Dallas home or business can stay comfortably cool or warm at all times. 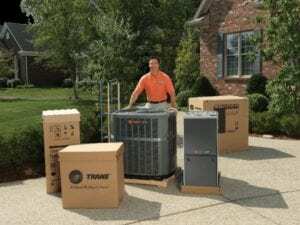 Whether you have a traditional gas furnace and central air conditioner or a heat pump that heats and cools your home, our technicians can ensure that your HVAC equipment functions properly throughout the year. If you experience issues that require immediate attention, Cote’s Mechanical offers emergency services around the clock. 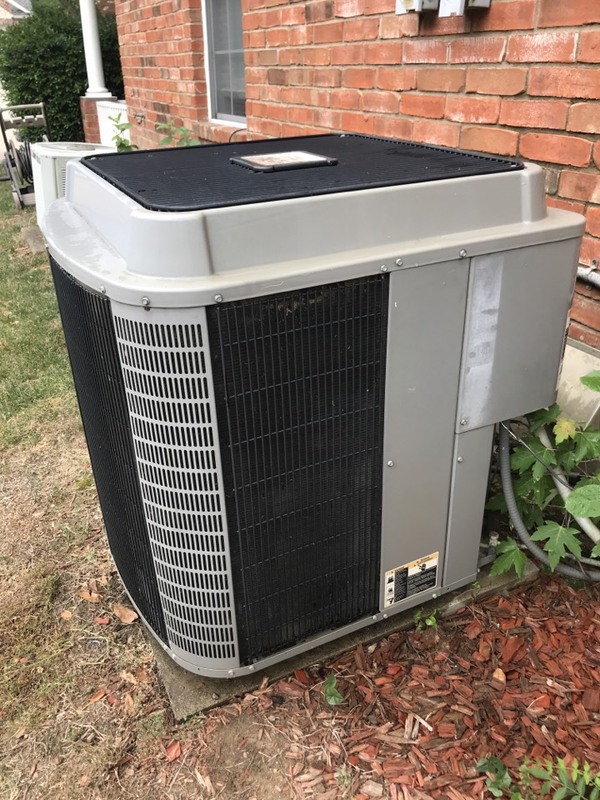 Our company also provides affordable HVAC services for residential and commercial customers throughout the Dallas area, including installation, maintenance, and repairs. We offer all of our customers a free estimate on new HVAC installations and free service calls with HVAC repairs. When you need any kind of HVAC service in Dallas, you can depend on Cote’s Mechanical. When you call on Cote’s Mechanical for HVAC services at your home or business, you can count on getting exceptional care from our technicians. We offer installations and repairs for all heating and cooling systems, including central air conditioners, furnaces, heat pumps, boilers, and more. Our technicians are all properly licensed and have the experience needed to diagnose HVAC problems and get them repaired as soon as possible. We offer other services for your HVAC system as well, including routine maintenance and replacements. Our company also provides attic ventilation and air duct cleaning services for Dallas homeowners and business owners. With our help, you can have HVAC equipment that remains in good condition for a long time. Whether you need immediate repairs or a brand new system installed in the near future, we’re here for you. 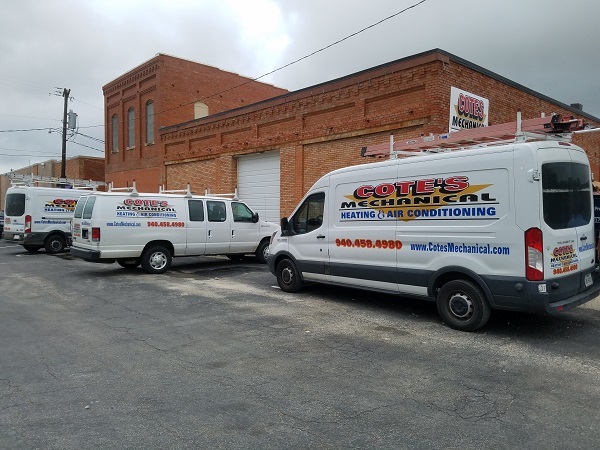 Residential and commercial customers in the Dallas area know that they can depend on Cote’s Mechanical when they need heating or cooling services. Our company, which Cote and Kristi Wyatt started in 2001, has built a solid reputation thanks to a firm commitment to superior customer service. National organizations, including the Better Business Bureau, have recognized our dedication to providing high-quality customer care. We also have accreditation from the Air Conditioning Contractors of America and certification as a Trane Comfort Specialist. We take pride in having certification for North American Technician Excellence and for receiving Angie’s List Superior Service Award. Browsing our online reviews shows just how happy our customers have been with us. These reviews frequently mention how dependable our technicians are, especially when it comes to providing 24/7 emergency services. We have also been recommended by many neighbors in the area on Nextdoor. The City of Dallas has a wide range of home prices and incomes per household. However, the average household income in the city is $45,215, which is slightly lower than the average household income of around $55,000 in Texas and the U.S. The average price of a home in Dallas is $142,600, which is roughly the same as the average home price of $142,700 in Texas. Dallas is home to around 1,341,075 residents, making it the 3rd largest city in Texas. Residents who live here can easily get to Plano, which is about 20 miles away via US-75 N. Denton is around 40 miles away via I-35E, and Fort Worth is about 32 miles away via I-30 W.
Dallas provides residents with plenty of attractions to see and amenities to enjoy. Visit Dallas Arboretum and Botanical Garden to view an impressive collection of plants and attend concerts. Head to Dallas World Aquarium to see fish, reptiles, birds and more from around the world, or spend time at the Dallas Museum of Art and view over 24,000 pieces of art. Dallas also has a wide range of restaurants for residents to have a delicious meal at, including Dallas Fish Market, Stampede 66, and Del Frisco’s Grille. Those who want to volunteer their services in Dallas have several opportunities to choose from. Some of these opportunities can be found at Dallas Animal Services, the Office of Cultural Affairs, and the Dallas Public Library. Dallas residents can also join boards and commissions, such as the Senior Affairs Commission, Citizen Homelessness Commission, Civil Service Board, and Environmental Health Commission. If you have an air conditioner or furnace that isn’t working, contact Cote’s Mechanical right away for service. Our technicians provide prompt heating and cooling services for residential and commercial customers in the Dallas area, including repairs and installations, as well as ventilation and ductwork cleanings. AC wasn't cooling checked outside and saw the capacitor wasn't working so he replaced it. Thankfully it was a simple fix. Craig Honderick was very accommodating, punctual and knowledgeable. thank you so much for your help. Very professional and highly skilled technicians. They took care of us in a timely manner. Houston was very professional and friendly. Was able to deduce the problem very quickly! Replaced 50/5mfd dual run capacitor. System is cooling properly. Cleaned condenser coil and system and hvac system is cooling properly. Repaired low voltage wiring where dogs tore it out of unit. Cooling properly. Replaced 35mfd capacitor in 2006 trane xl19i. System is cooling properly. Replaced contactor in master bedroom unit and cooling properly. Issue is system intermittently cuts off and won’t run. But if he goes upstairs and takes off door and puts it back on, the system runs again. The wiring harness on furnace control board is bad. 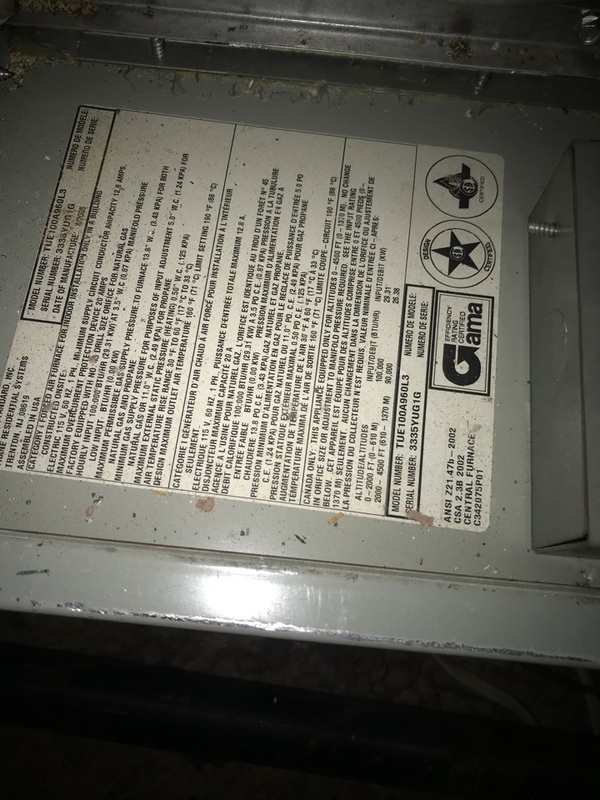 Replaced furnace control board. Cooling properly. System has a low superheat. Is also slightly overcharged. I pulled a little freon out of it and went through the system and all variables. The only thing that could be causing this issue is that the furnace isn’t blowing enough air across the coil, I think the furnace isn’t big enough even though that on paper it is the correct size. 100k btu furnace pushing across a MASSIVE 5 ton slab coil, everything is great with the system except the superheat. Adjusted pressures to bring up superheat. Replaced a faulty 55/7.5 mfd dual run capacitor in this 13 year old ICP model air conditioner. Cooling properly.